Member Info Katie is a freelance copywriter with 14 years’ experience. She writes everything from blog posts to video scripts and specialises in property, global tech and travel. 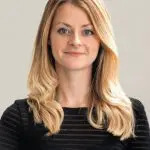 She regularly produces features for national publications including The Guardian, Time Out and the Evening Standard. New Capital Quay is a riverside development in Greenwich, south-east London, which was built around 2013. The futuristic looking exterior houses hundreds of properties in varying sizes, including duplex townhouses and one, two and three-bedroom apartments. They’re set across several blocks in different sizes, including a high-rise, curved tower right on the end of the peninsula. The luxury apartments at New Capital Quay are made up of a mix of privately owned properties, social housing, and homes available via the Help to Buy scheme. They’re all fresh and modern and finished to a high specification – expect cutting-edge kitchens and bathrooms, sleek interior design and plenty of high-end fittings. Many properties at New Capital Quay have a private balcony or terrace with wraparound Thames views – the development is surrounded by water on three sides thanks to its peninsula setting, and you can see right over to the City, Canary Wharf and the Millennium Dome from some properties. Residents here also benefit from a central concierge service, CCTV monitoring system and a gated entrance for added security. Outside the property, the heart of Greenwich takes centre-stage. Greenwich Market is a seven-minute walk away from the property, along with all the shops, bars and restaurants of Greenwich town centre. The vast open space of Greenwich Park is only a few minutes further, and Greenwich DLR and mainline rail station is just over a 10-minute walk away. Even closer to home, meanwhile, are the Cutty Sark and Greenwich foot tunnel, which takes you over to the Isle of Dogs. There’s also a huge Waitrose on the doorstep, which makes shopping for essentials nice and easy. The water of the Thames surrounds this property, and you can cross it easily via the Greenwich footbridge to arrive on the Isle of Dogs. Greenwich town and Park are a five-minute walk away, too, so it has a fantastic south London location. Brompton Park Crescent is a secure gated development in Fulham, south-west London. It’s set in an attractive suburban area surrounded by leafy gardens and next to a park, with Brompton Cemetery just beyond it. Apartments at Brompton Park Crescent range from studio flats to three-bedroom spaces. They’re finished to a high level, with high-spec kitchens and bathrooms as standard, all-white interiors a common feature, and large windows that create a light, airy feel throughout. 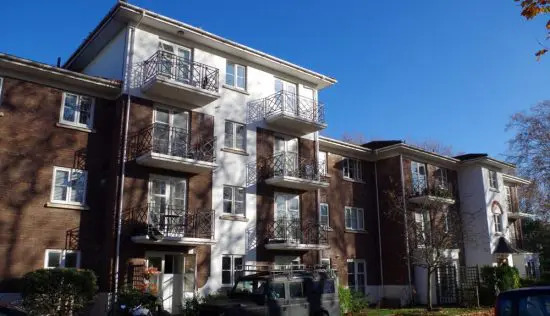 Many properties also have balconies that overlook the garden and park, and residents of Brompton Park Crescent also have a gym, a swimming pool and a sauna at their disposal. On top of all that, there’s parking available. Venturing away from the development, Stamford Bridge is a five-minute walk away, while Fulham Broadway Underground station is a 10-minute walk away and allows residents access to the Wimbledon branch of the District line. There’s a cinema, and plenty of shops and restaurants along the stretch that leads off from the station and towards West Kensington. Heading off in the opposite direction from Brompton Park Crescent, you can reach West Brompton station, which is on the West London line. From here you can access other areas of London via the District line and London Overground Services, or head out of London towards Croydon or Milton Keynes via Southern rail services. This area of Fulham is ;eafy and green – the property has attractive gardens and is right next to a park and cemetery. Setting aside, Fulham Broadway Underground station is just a ten-minute walk away. Meadow Court is a secure residential development that forms part of the wider Waterside Park development, which was built in 2011. It’s on Booth Road, right by the banks of the River Thames, and a two-minute walk from Pontoon Dock DLR station. Meadow Court is in the Silvertown area of London, very close to London City Airport. Properties at Meadow Court are bright and spacious and include split-level apartments and roomy, three-bedroom penthouse apartments. Inside, they’re finished to a high specification, with a combination of solid wood floors, designer bathrooms and fully integrated kitchens that create a sleek, sophisticated look throughout. Aside from attractive interiors, many properties have two balconies or terraces to make the most of the attractive outlook – there’s a large park right next door with views that stretch over to the river. Residents of Meadow Court can also look forward to further benefits including underground parking, a 24-hour concierge and a residents’ gym. Outside, it’s a minute’s walk to the banks of the Thames in one direction, or a two-minute walk to Pontoon Dock DLR station in the other. London City Airport is one stop away, and Canning Town is a few stops in the other direction, where you can join the Jubilee line or continue all the way to Stratford International station. Silvertown is an area of redevelopment in London, so there are lots of new and improved developments taking shape. London City Airport is close by, which is great for long-distance commuters. Bow Connection is a secure residential development on Fairfield Road, in the Bow area of east London. 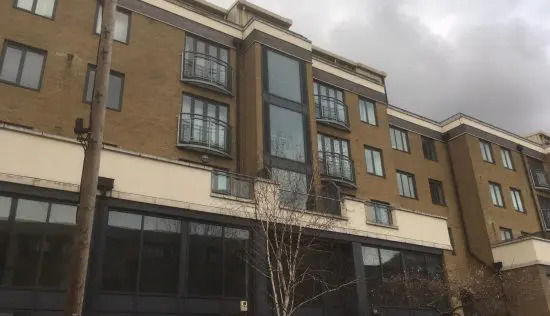 It’s a large, modern development made up of mostly one and two-bedroom flats, which are designed in a contemporary style with features like smart laminate floors inside, and pleasant private balconies outside. Bow Connection residents can make the most of a shared, paved roof terrace and allocated parking spaces with some properties. 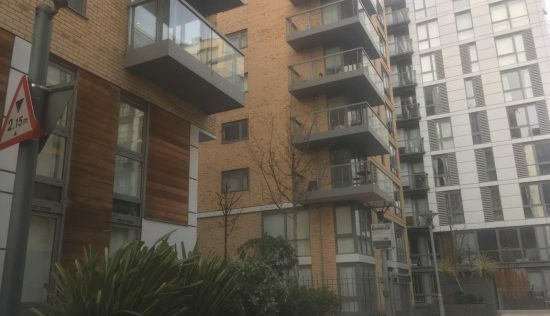 The development is also well-placed for local amenities, including Bow Church DLR station and Bow Road Underground station – both of which are just over a five-minute walk from Bow Connection. From here, residents can access the District and Hammersmith & City lines for fast connections into the rest of London. On the doorstep, meanwhile, there are plenty of things to keep you busy. Roman Road is a five-minute walk away and it’s lined with shops and cafés. Roman Road Market is a must-visit, too – it’s a traditional street market that’s been running for more than 150 years, selling clothes and homewares on Tuesdays, Thursdays and Saturdays. A little further away from Bow Connection you’ll also find Victoria Park and London’s Queen Elizabeth Park – both of which are a quick bus ride away. Westfield Stratford City shopping centre is also easy to reach, and has some 250 shops and around 70 places to eat. Roman Road is a five-minute walk away and it’s lined with shops and cafés, plus a 150-year-old street market. Plus, Bow Church DLR station and Bow Road Underground station are a five-minute walk away. 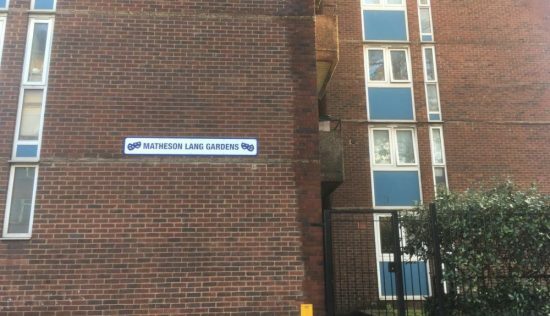 Matheson Lang Gardens is a block of flats on Baylis Road in the Waterloo area of south-east London. It’s actually made up of several adjoined blocks of slightly different heights, and reaches around ten storeys at its highest point. It borders Murphy Street and Frazier Street. Apartments at Matheson Lang Gardens are individually styled and available both to buy and to rent. Many benefit from a private balcony with far-reaching views over London – some towards the London Eye and the south bank of the River Thames. On the subject of location, Matheson Lang Gardens has plenty to offer right on the doorstep. Baylis Road is a major thoroughfare that runs to Westminster Bridge Road in one direction, and Waterloo Road in the other. The Old Vic and Young Vic theatres are just over a five-minute walk from the property, as is Waterloo station. From here, residents can access London Underground services via the Jubilee line, the Bakerloo line and the Northern line, as well as a huge network of mainline rail services. Five minutes in the opposite direction from the property, meanwhile, you’ll find Lambeth North Underground station, which is in London’s Travelcard Zone 1. There’s also an extensive network of buses, and a stop right outside Matheson Lang Gardens. You’ll find it next to the Tesco Express – another handy feature for residents. Baylis Road is a major thoroughfare in south-east London, with great transport links. Buses stop outside the property and Waterloo station – which is a five-minute walk away – gives residents access to London Underground services via the Jubilee, Bakerloo and Northern Lines, as well as mainland rail options.